When a game is delayed, you can look at in one of two ways. Either the game is in serious trouble or it just needs a little more time for some extra polish. 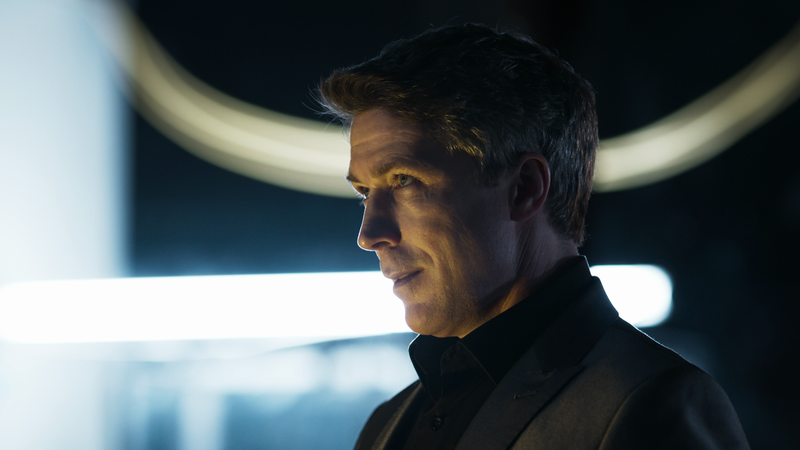 There has been some documentation about the lengthy delays of Quantum Break. Actor changes (almost all of its main cast!) and story rewrites were at the forefront. With so many dramatic changes, I was hoping for the later but expecting the former. Thankfully my wait is over and I have had my questions answered. This review will be slightly different than any other game review I have done before due to QB being a very different experience than most (if not all) games preceding it. Notice I said experience. Yes, this is a game but there is also a “TV” show attached to it as well. Most games treat you to some sort of CG style cut scenes during and after an act is completed. While this is still true in QB, Remedy has added a new wrinkle to storytelling this time around. A 20 or so minute episodic show plays in between each act, filling in the blanks so-to-speak. I will get into that a bit more later on but let’s start at the beginning. 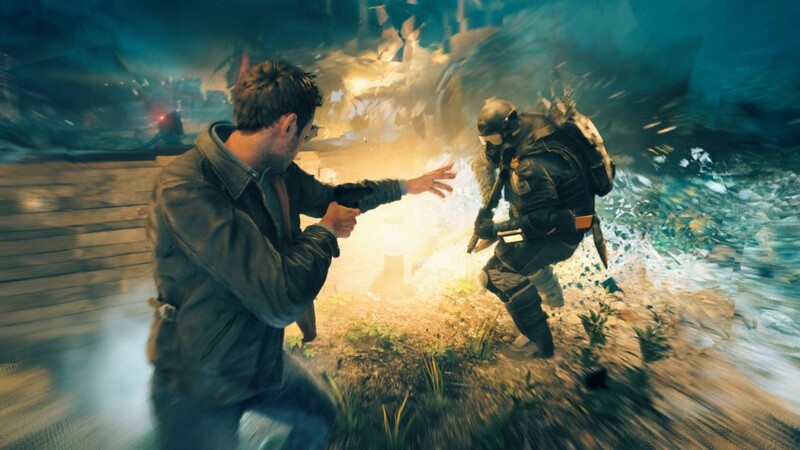 Quantum Break is a story about time travel. More accurately, it’s a story about a fracture in time due to a time machine having been invented. Jack Joyce (Shawn Ashmore) is meeting with an old friend of his Paul Serene (Aidan Gillen) at a college campus very close to the mega (and mysterious) company Monarch Solutions. The two friends catch up and Paul starts explaining why he asked Jack to come visit him and starts to show him a project he has been working on. Paul and Jack’s brother, William (Dominic Monaghan), have been working on a time machine powered by a mini black hole (yep!). Upon the activation of the machine, things go horribly wrong and send Jack and Paul down opposing paths. I can’t really say whether one or the other is following the “right” path but the opposing viewpoints do make for great tension and drama. I have to be completely honest, I DON’T want to tell you any more of the story. It really is that interesting. So I will stop here. I will say that the story moves along at a brisk pace but there is some really heady stuff going on so it is worth your while to read some of the optional emails and diary’s found throughout the game so you can be up to speed with the technical jargon and the happenings on. So where does that leave me? Well, two friends meet, time becomes fractured due to things and stuff and Jack is left with some crazy powers due to his proximity to the initial fracture. Now that that’s over with, let’s move onto the gameplay. 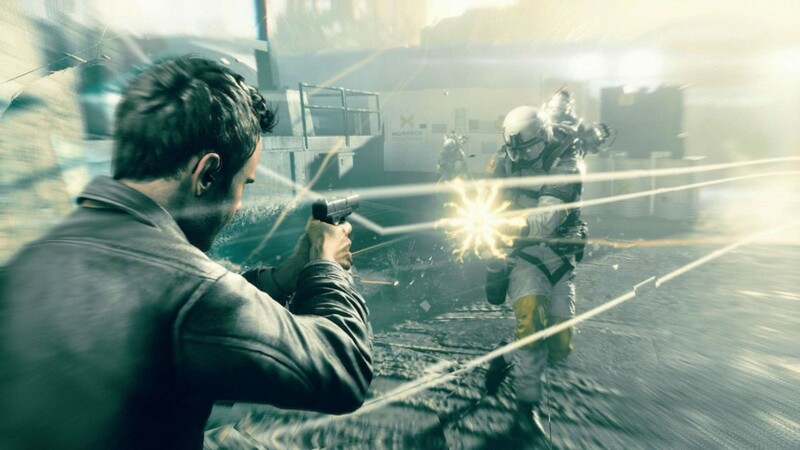 Let’s talk about the guns and the use of cover in Quantum Break, shall we? The guns are separated into three basic categories, light, medium, and heavy. Your Pistols fit in the light category while your SMGs and Assault Rifles are considered medium and LMGs, Carbon Rifles, and Shotguns fill out the heavy. That LMG you’re currently using really hits hard but ammo is very limited (and isn’t replenished at the ammo restock) so do you keep your gun with only a 20 bullets left or trade it in for a recently dropped Auto-Shotgun (that is allowed to be restocked). Decisions, Decisions! You can only carry a maximum of 3 guns (one of each type) at a time so choose your killing implement carefully or be left bulletless. I can safely point out that there isn’t a real clunker in the bunch when it comes to QB’s weapon selection (but nothing that is really that unique or exceptional either). The best part of QB’S gunplay is that it feels amazing. I never even thought about it, really. All of the guns just felt natural to fire, and that is the mark of a great shooter. Are those baddies heaping a little too much heat towards you at the moment? Well,Jack has a contextual cover mechanic that allows him to hide behind tables and cars when he needs a little breather. If you have played Gears of War or, more recently, The Division, then you know the feeling of “snapping” into cover with the press of a button. It allows for you to remain behind cover and move left or right all while blind firing over the top of said cover without the fear of wandering into an open sight line. Quantum Break handles cover a little differently and, at first, it takes some getting used to. You never “snap” into cover here. You can be successful early on with a strict use of cover but as the game progresses, and the enemy types change, you will really need to keep moving and use those glorious time powers of your’s. Cover will only be used as a last resort when you get into the groove of what Quantum Break is really all about, and you won’t miss it, I promise. At this point in the game, you realize Jack knows his way around a firearm or two but what are these new powers? Glad you asked! Over the first hour or so of the game, Jack starts discovering a beve of new time-control related powers are at his disposal. It starts with a simple pulse like power called Time Vision. Basically, this power pings the immediate area for helpful information like enemy’s, guns, ammo restocks, and hidden story elements. Vision is a very useful power but like many recent games, QB has you pinging your surroundings a little to frequently to find hidden items, upgrades, and back story. This is a minor flaw with almost any game that has this power, or something like it (I’m looking at you Rise of the Tomb Raider, Dragon Age Inquisition, and The Division). You end up spending too much time pulsing for items that are really hard to find in plain site but can be easily detected using this pulse power. It slows down a game like QB, which begs to be played at a breakneck speed. Thankfully, almost all of the other powers Jack gains are more inline with the way the game was intended to be played. Time Stop allows you to stop anything caught within its bubble for a brief time. This can be used is so many effective ways that it makes me smile just thinking about it. Getting rushed by soldiers in multiple directions? No problem, Time Stop one group and take on the flanking group first. Is the enemy pulling a full frontal assault on poor Jack? Time Stop them, pump an entire clip into your time bubble and watch these guys get hit with every bullet at once when the time bubble expires! There are so many more ways this power can be used but I will let you figure that out on your own. Next up is Time Dodge. This is QB’s version of the standard action game dodge with it’s own twist. Yes, you are dodging something coming your way be it person,bullet, or grenade but remember this is a time based power. If you are dodging an enemy you basically show up 20 feet away from where you were in the blink of an eye. This can catch soldiers looking the wrong way or put you behind cover that no one saw you enter. As an added bonus, if you press the Left Trigger right after the Time Dodge you enter focus time (think Max Paynes Bullet Time) which lets you aim in normal speed while everyone else is practically frozen in place. Talk about getting the upper hand! There are quite a few more powers that Jack will gain control of over the course of the game, but I am going to cut the power reveals short with the hope that what I have told you about is enough to whet the ol’ appetite. There are also environmental puzzles that you need to figure out, but since they are directly involved with some of the powers I have withheld from this review I won’t get into them. I will say that the puzzles are incredibly creative and take full use of all of your powers. 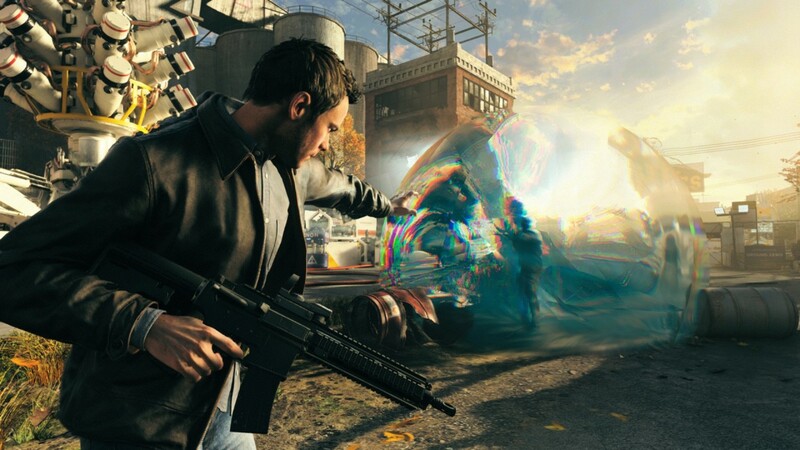 Here is where Quantum Break differs from any game released before it. Not only are you completely involved in Jack’s struggle to fix the fracture in time, but you also get a really good look at the opposing viewpoint through the show portion of QB. The show takes place in between acts as sort of a view into the antagonists journey. But it’s more than just a view. Directly before each show, the story brings you to what Remedy calls a “Junction”. This is a small playable section of the game that gives you limited control of the antagonist. Usually brief in time, here you choose which of 2 paths the antagonist will go down. I almost feel like it’s a cheat because you can choose the option that makes life easier for Jack, or so it seems. You are given a chance to glimpse the future of your choice through a small cut scene. Then you are presented with the option to stick with your choice or go the alternate route. Though you see what the future holds for each choice, this still can lead to unforeseen issues for our boy Jack later in the game. Another thing that this option determines is which version of the show you then immediately watch. Unfortunately I haven’t had the chance to watch each version of the show but I certainly plan to because Remedy and Microsoft really put a lot thought (and money) into the development of this show and you can tell by the production values and the assembled talent. Speaking of the talent, there are also characters that make only a minor appearance in the playable portion of the game but are essentially the main cast of the show. I was pleasantly surprised by the appearance of a favorite character actor of mine (who will remain nameless). I’m really curious to see that if my choices not only affect the show but also the following act that I will play (being that I only played 1 path). If it truly makes that much of a difference, then the game I play may be completely different from the game you play and that has me excited. Its very unusual for a single player action game to give you this much choice as to how the story plays out. 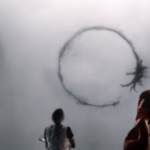 I suspect that all roads will lead to a similar ending but to tell a complete and convincing story, I don’t see any way around that. The question is, could all of this live show stuff been done in regular, albeit Metal Gear Solid 4 length, cutscenes? Yes, they could have. Would they be nearly as interesting or gripping? The answer is a resounding NO! I don’t feel that this style of storytelling needs to be copied by everyone else but I am very thankful that it exists in the world of Quantum Break. Remedy has always had a certain flair when it comes to storytelling, with the straight Noir of Max Payne or the Horror vibes of the severely underrated Alan Wake, so I’m not shocked that they chose to stretch their creative legs once again. Bravo! 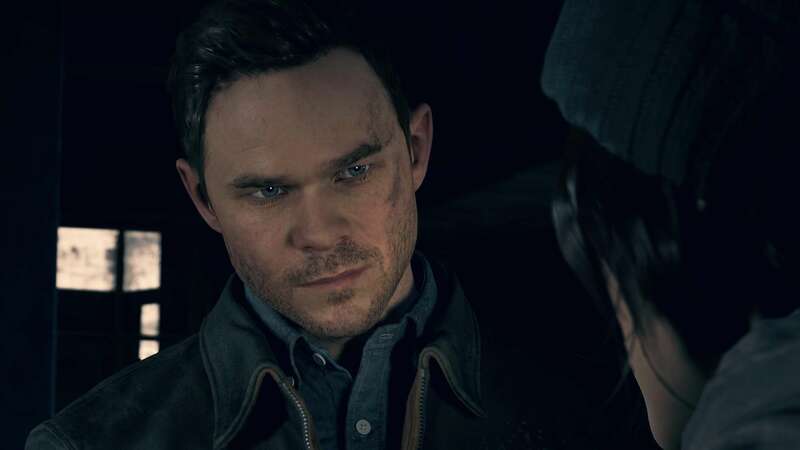 After all the delays and the anticipation leading up to the release of Quantum Break on the XBOX One, Remedy showed why they have the reputation they have in the industry. Great gunplay, awesome time control powers, and an extremely interesting story all add up to this being an early contender of mine for GOTY honors. I’m so glad that Remedy took its time to get this game right. 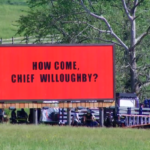 Bringing in some recognizable actors (with some real acting chops) to fill the roles of the key players was the right move, especially with the whole live show format. I can’t wait to jump back into the world of Quantum Break and see the other twists and turns this story holds for me. Oh, and getting to play with the sick time powers some more doesn’t hurt either! Great article… Makes me want to buy this game! Thx for not spoiling the story, Brian!